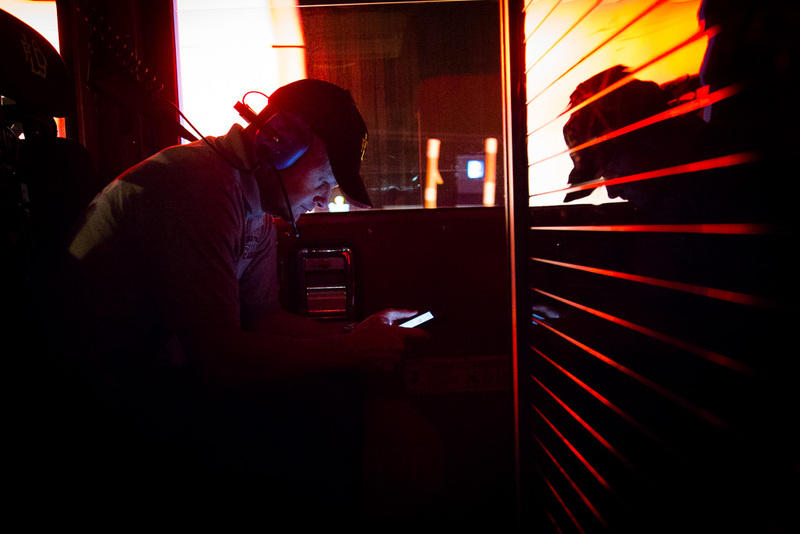 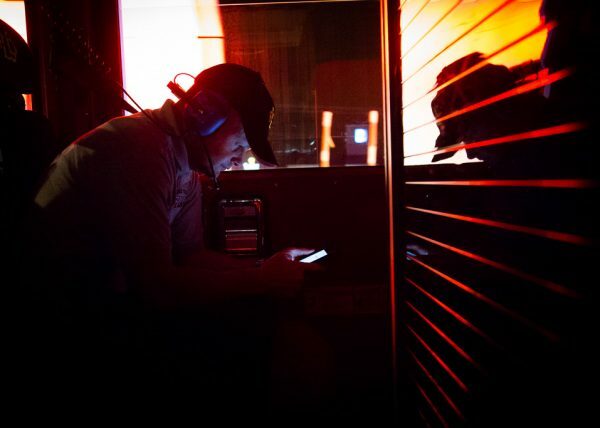 Apparatus Operator, John Doyle, talks with an dispatcher during a highway accident. 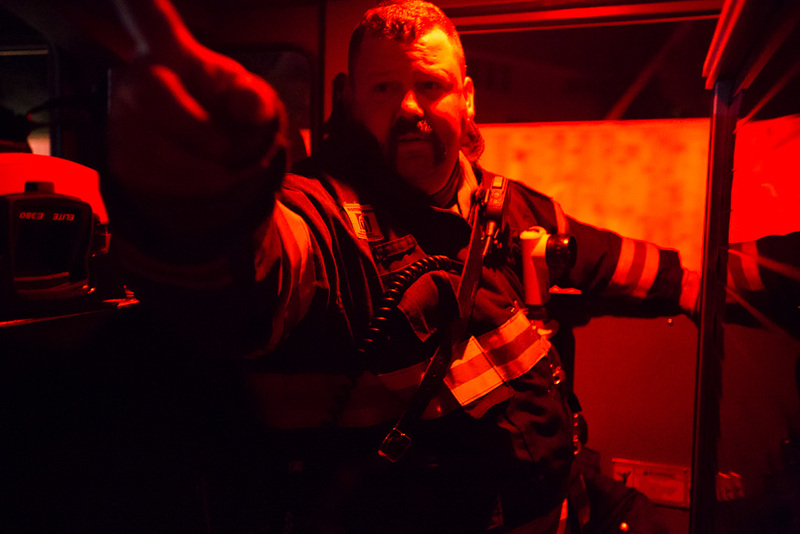 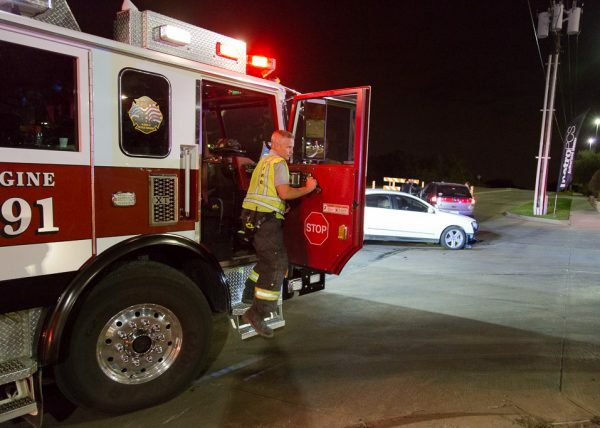 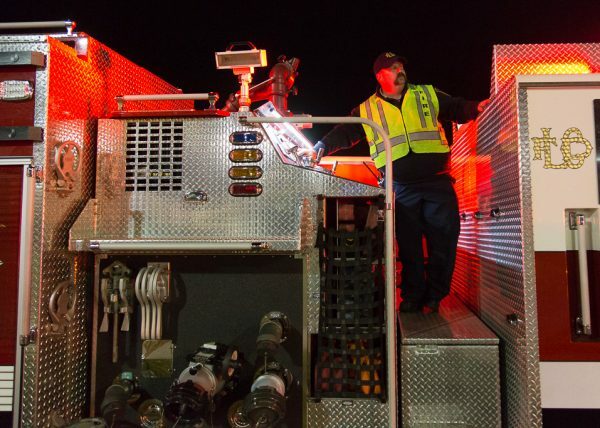 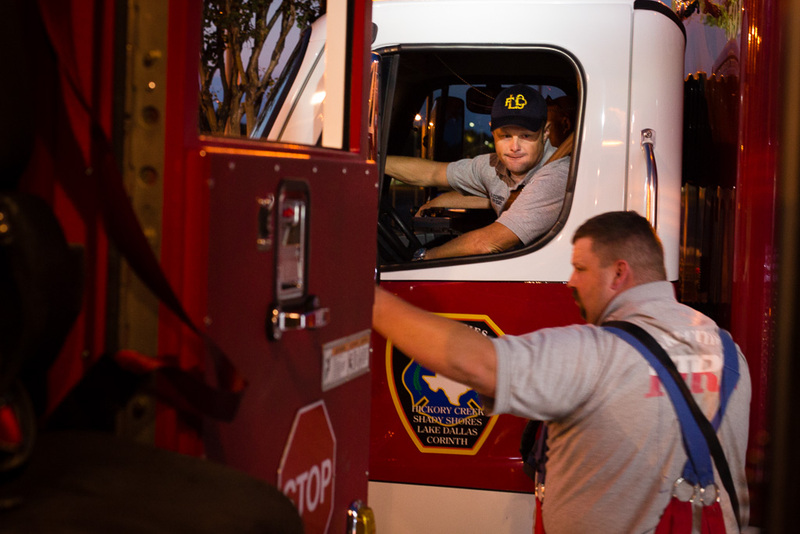 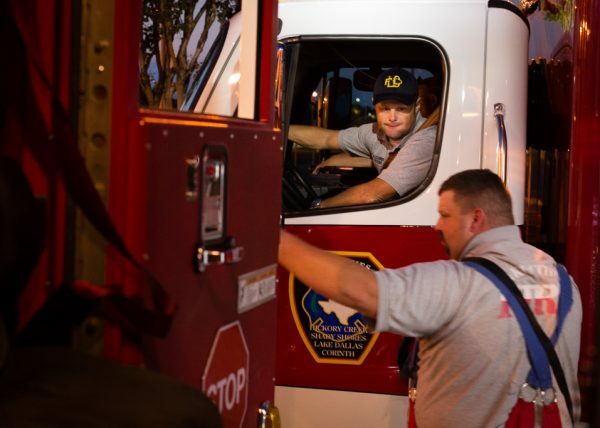 On their way back to the department after finishing a highway accident, Kevin Conner takes a break in the fire truck. 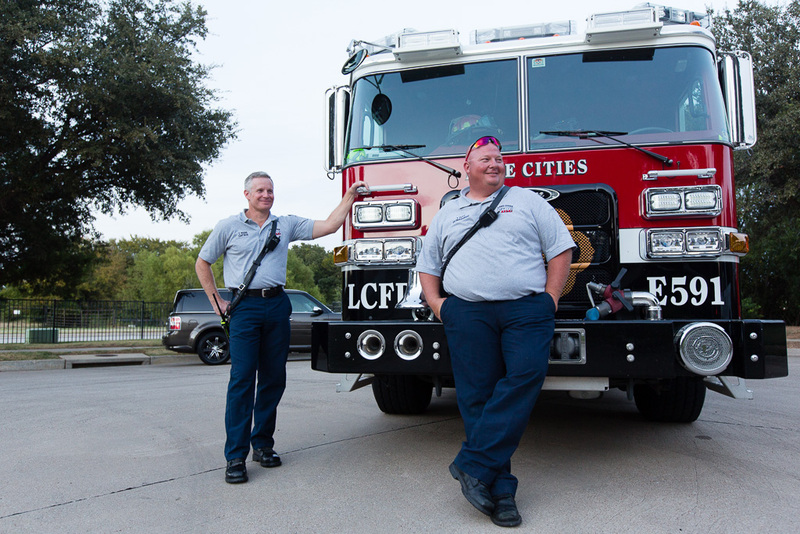 Firefighters/paramedics, Brandon Shepard and Kevin Conner discuss what to do during a fire alarm call that went off. 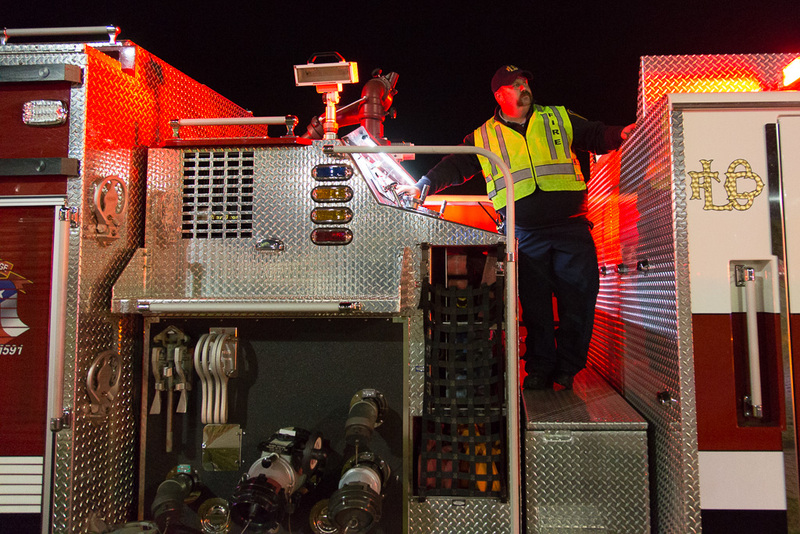 Firefighter/paramedic, Brandon Shepard uses a tool on the fire truck to assist during a car accident call. 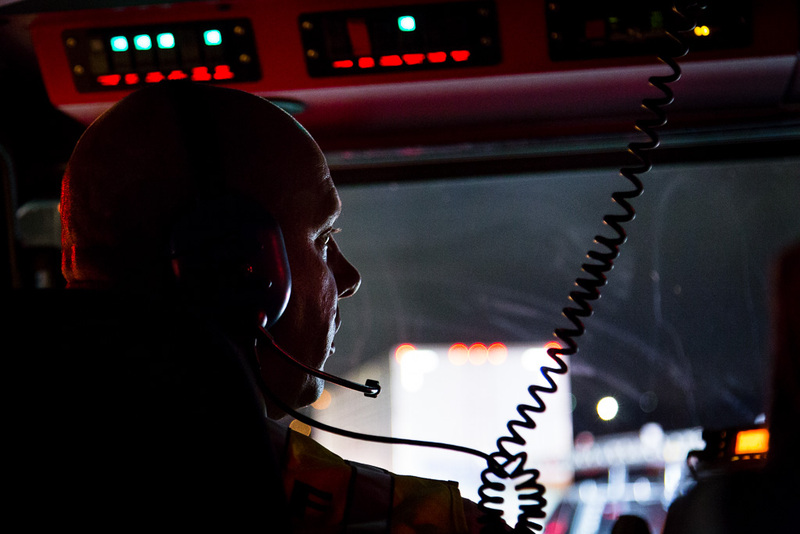 Capt., Todd Webb oversees a car accident with his crew. 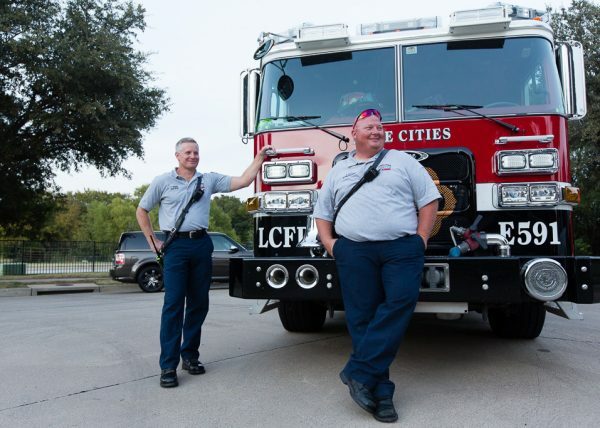 Todd Webb and Tracy Tutt stand by the fire truck during their annual meet and greet with the community. 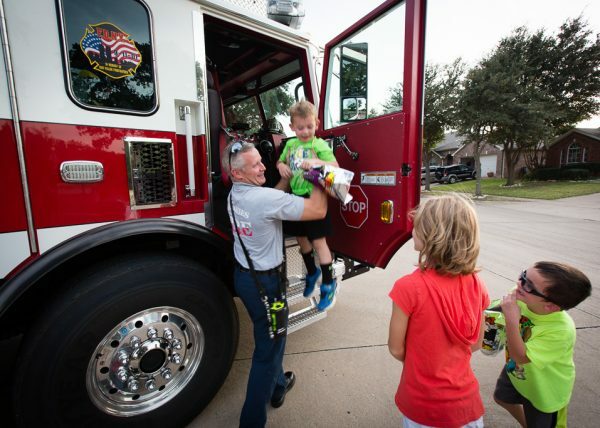 Lake Cities Capt., Todd Webb, having fun with neighborhood kids. 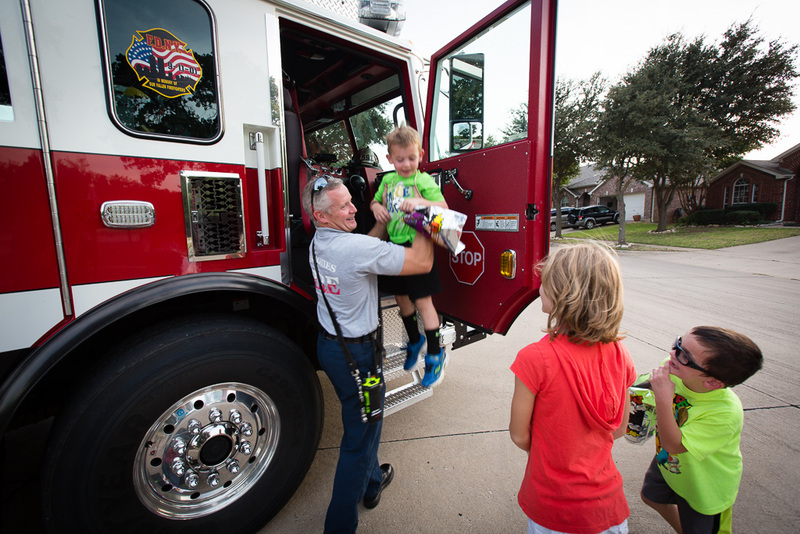 The fire department goes annually to meet the residents. 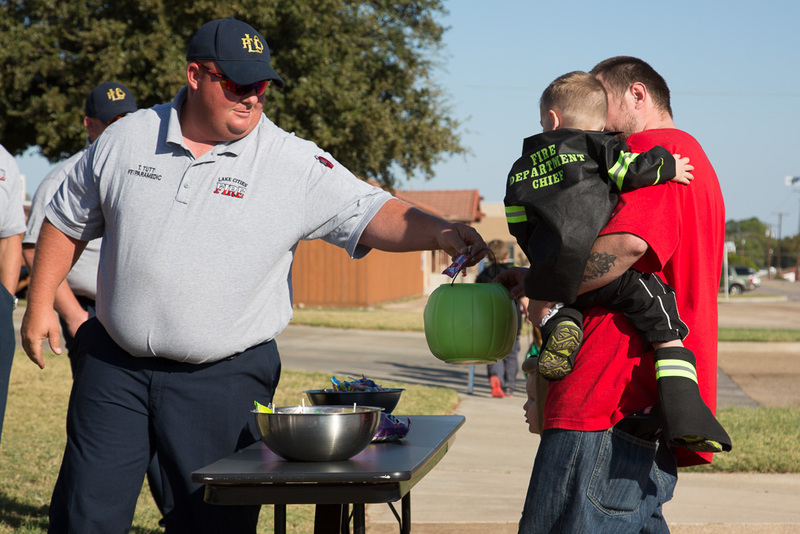 Lakes Cities firefighter/paramedic, Tracy Tutt passes out candy to a future recruit. 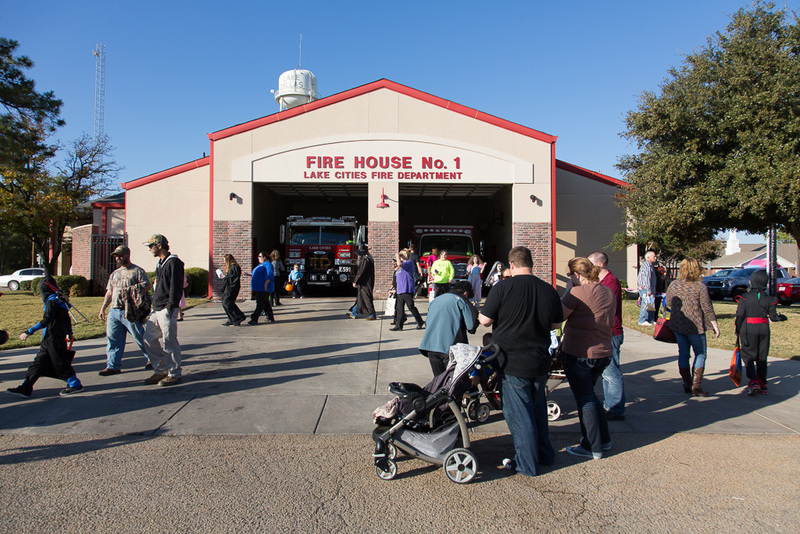 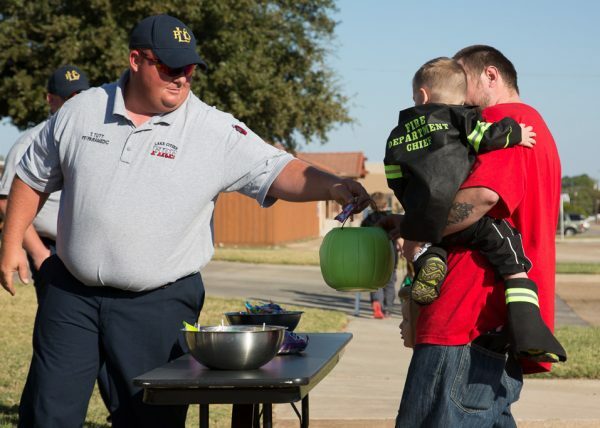 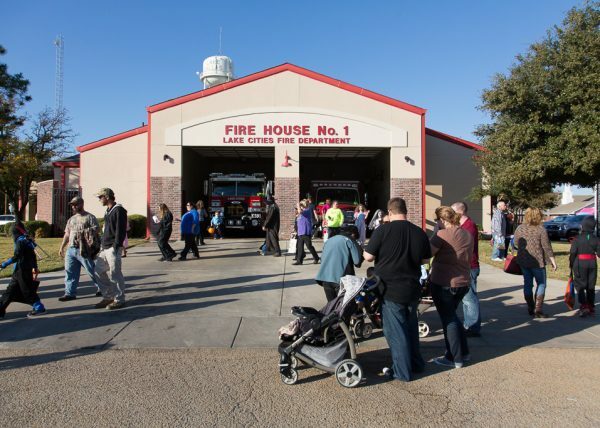 The Lake Cities Fire Department hosts Halloween at the firehouse.